A whistle-stop tour of rock from over the water, including Thin Lizzy, Rory Gallagher, The Undertones, U2, Sinead O'Connor, The Pogues, The Frank and Walters and Therapy? A whistle-stop tour of rock from over the water, taking in some of the finest Irish rock offerings from the early 70s to the present day, as captured on a variety of BBC shows from The Old Grey Whistle Test and Top of the Pops to Later... with Jools Holland. 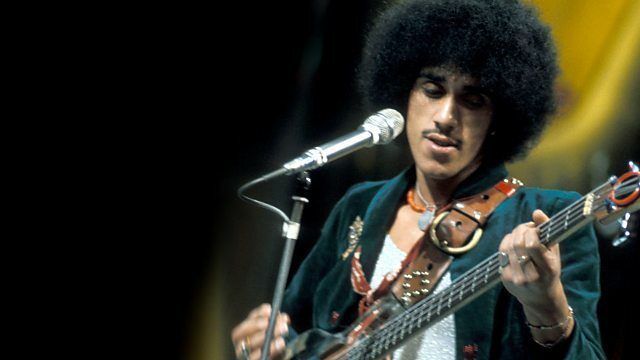 Kicking off with Thin Lizzy's 1973 debut hit Whiskey in the Jar, the programme traces Irish rock's unfolding lineage. Performances from guitar maestro Rory Gallagher, Celtic rock godfathers Horslips and John Peel favourites The Undertones feature alongside rivals Stiff Little Fingers, with their Top of the Pops performance of Nobody's Hero, followed by post-punk U2's 1981 debut UK performance of I Will Follow from The Old Grey Whistle Test. Then there is Sinead O'Connor's debut single performance of Mandinka, and The Pogues play the Ewan MacColl classic Dirty Old Town from 1986. Into the 90s, there is The Frank and Walters and Therapy? on Top of the Pops, along with early performances on Later... with Jools Holland from Ash and The Divine Comedy. There is rockabilly with Imelda May's debut hit Johnny Got a Boom Boom, and then more recently Cavan's The Strypes and Hozier, whose Take Me to Church completes this hit-driven tour through Irish rock. Discover the history of Irish rock - from Van Morrison to U2. Celebrating Irish music at the BBC.